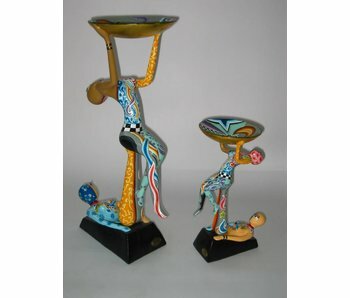 Artistic candlestick in the shape of a wide-legged seated acrobat from the Circus Collection by Toms Drag. Dimensions: 26 x 24 cm. Made from marmorin. Acrobat - bridge model - L by Toms Drags. balancing a golden plate. Artistic, handmade figurine. Size : 44 cm x 35 cm. Large stylized Acrobat by Toms Drags. Size: 42 cm long and 73 cm wide. Made of Marmorin. Colourful sitting acrobat in Toms Drag design. This is a hand painted art object made of marmorin. Size: 25 x 17 cm. Colourful acrobat from Toms Drag. Material: 22 cm wide, 23 cm high. Made of hand painted marmorin. Colourful acrobat by Toms Drag. Lenght 30 cm. 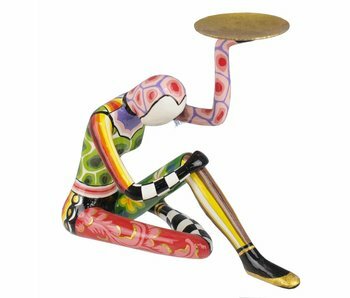 This sculpture is made of hand painted marmorin. 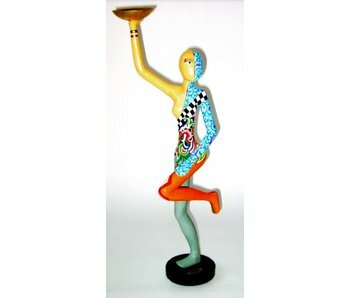 Hand made female acrobate figurine, standing model with golden plate. Made of marmorin , hand painted. Size: 60 cm. Colourful sitting acrobat. 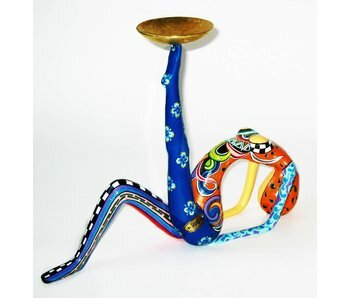 This is a handmade Toms Drags art object designed by Tom Hoffmann. Size 26 x 17 cm . Material: marmorin. 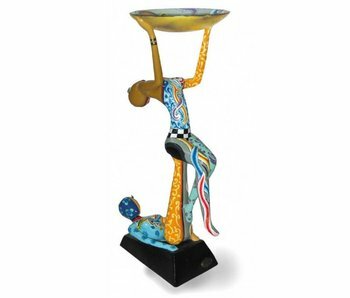 Hand made female acrobate figurine, standing model with golden plate. Made of marmorin , hand painted. Size: 34 cm. Material: 23 cm wide, 24 cm high. Made of hand painted marmorin. Graceful Acrobat, balanced with a Golden Bowl.. This handmade Toms Drags art object is made of marmorin. Size: width 23 cm, height 50 cm. Acrobats couple by Toms Drags. Made of marmorin. Size: 28 x 58 cm. This is a handmade art object.